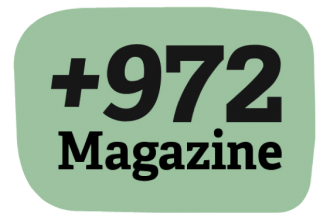 +972 Magazine is a blog-based web magazine that is jointly owned by a group of journalists, bloggers and photographers whose goal is to provide fresh, original, on-the-ground reporting and analysis of events in Israel and Palestine. This collective is committed to human rights and freedom of information, and opposes the occupation. However, +972 Magazine does not represent any organization, political party or specific agenda. The creators of +972 see it as a platform for its bloggers to share analysis, reports, ideas, images and videos on their channels. Each blogger owns his or her channel and has full rights over its contents (unless otherwise stated). The bloggers alone are responsible for the content posted on their channels; the positions expressed on individual blogs reflect those of their authors, and not +972 as a whole. Subscribe: Click here to sign up for +972’s Weekly Newsletter to stay up-to-date on all publications. Join FMEP in supporting the work of +972 by making a charitable contribution today. * FMEP awarded a grant to the New Israel Fund, in support of its existing work/fundraising for +972 Magazine.